The Busselton Guest House is one of the oldest Bed and Breakfast establishments in the Busselton area. The buildings were relocated from the decommisioned World War II communications base in the mid 50s and set up as a Lodging House. It has now been continuously registered for well over 50 years. Fully renovated over the past three years, this homely character residence is set on two thousand square metres of beachside land with outstanding outdoor entertaining facilities. Features include over 100 square metres of alfresco area and a separate, covered, five person luxurious spa. Spacious lawn areas, shady peppermint trees and well tended gardens are in abundance. 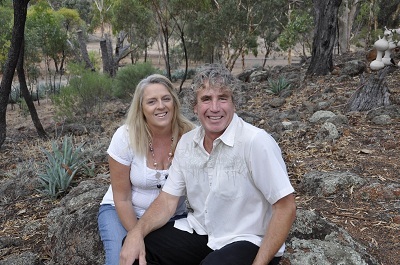 The Busselton Guest House is run by Micheal Jones and his wife Beth. It reflects Mike’s passions – meeting people, discovering beauty within old things, gardening, good food and a relaxed lifestyle. You will be in good hands at Busselton Guest House.